Enterprise Resource Planning (ERP) allows you to organize all your business processes efficiently across all the departments of a company. A flexible Web Based ERP software can be maintained centrally and performed across various platforms. Access from anywhere and anytime: One can use it from anywhere and anytime or from any corner of the world with the help of a web browser and Internet connection. No hardware & installation: Being browser based software solution, a user can input data with the help of an user id and password from any computer with the help of Internet connection. Quicker communication: As the software is accessible from anywhere it makes communication faster within the various segments of an organization. Real time data management: With the help of web based ERP, software activities can be managed efficiently due to real time data management. Best solution for field executives: Field Executives normally visit for client meetings, when it comes to data entry in ERP system, web based ERP works best for these personnels as data exchange happens easily. Visit us here ACGIL, to get more details about our various manufacturing ERP software, construction ERP, Cloud ERP, ERP on Demand, Buying House ERP, online ERP & CRM software solutions etc. 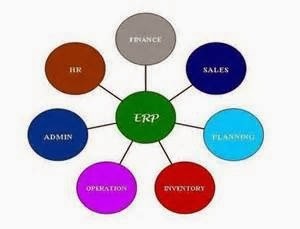 Enlightened blog which apprise about ERP softwares.